Ghee is an essential part of Indian food. Adding ghee to hot rice, adding ghee on top of hot rotis and the list goes on and on. 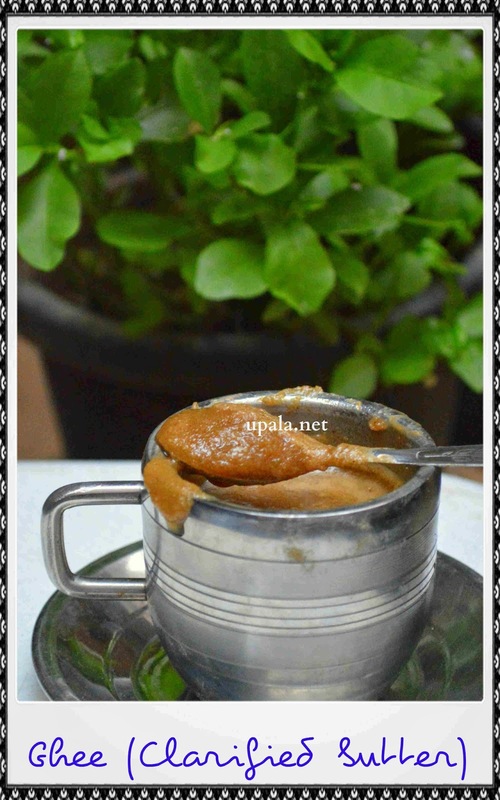 Ghee gives both nice aroma and taste to any dish that we make. My preference is always Homemade ghee than the store bought ones because you can find the freshness, great taste and nice fragrance in the ghee. 1) Heat a heavy bottom big kadai in medium flame and drop the Butter in it also add a laddle. 2) You can continue heating the kadai in medium flame. 3) Small bubbles will start appearing in 5 mins. 4) More bubbles will come in another 5 mins. 5) Next step, the butter will raise and come to top but it will not spil as we are adding a laddle to it. 6) After few mins, bubbles will subside and you can see ghee starting to form. Try taking the ghee from bottom with your laddle and see. You can see clear golden colour ghee with small brown granules at bottom. 7) Let it boil for few more mins and again take the ghee in laddle and see. You can see ghee with black colour granules. Be careful at this stage as it might get burnt easily. 8) Switch off the flame now and let it rest for few mins. 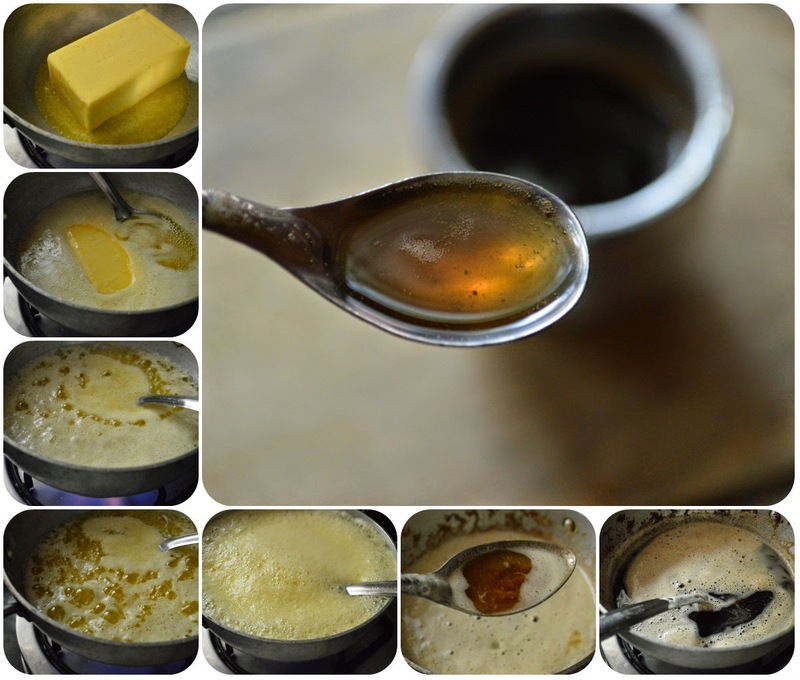 9) Now strain the ghee to separate the residue (kasandu) and store it in a dry container. 1) You can switch off the flame at Step 6 too, I prefer it to boil more. That is why my ghee is little dark in colour but it gives nice fragrance. 2) No need to refrigerate the ghee. 3) If you are making ghee for the first time, try to do it in low flame. It might take few more mins but it really helps.